Shelby met Cory when he was the instructor for her self-defense class so we incorporated some shots in a boxing ring into their engagement portrait session. This was a fun shoot. I had visions of Raging Bull in my head so we had a friend of theirs throw water into the background of a few shots to look like sweat flying off of their faces and we of course added a shake face shot or two that made it look like they were getting clobbered. 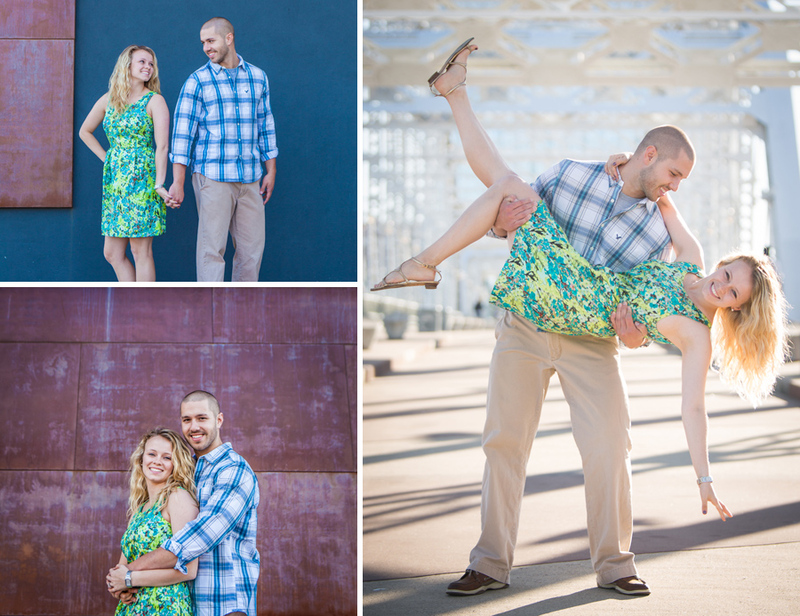 I had fun with these two and can’t wait for the wedding!